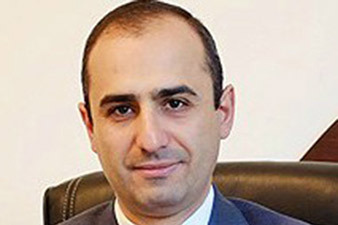 Former deputy justice minister of Armenia Artyom Geghamyan said in an interview with ‘Zhamanak’ paper that his decision to resign was related to his intention to work in the private sector. He denied rumors of his conflict with the minister, adding that he is not going to leave Armenia. “We are on very good terms with the minister. I was his assistant for five years in an economic court. In fact, I returned into the team, but then I took a different decision,” Geghamyan said. According to him, Minister Hovhannes Manukyan understood his decision. 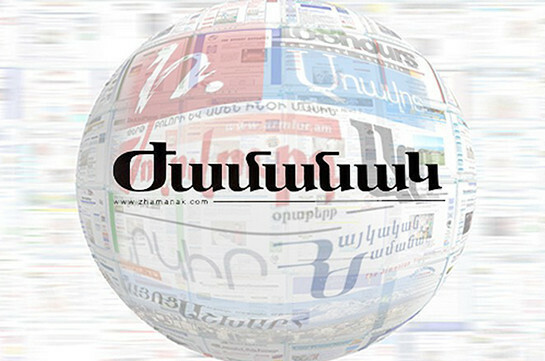 The paper says as far as the main dispute between Tsarukyan and the authorities is the issue of cement, it may be supposed that the authorities have make concessions getting the loyalty of the PAP instead. “Sending peacekeeping mission to Syria harmed us a lot,” the paper’s interlocutor said, expressing hope that the visit of Armenia’s Defense Minister Davit Tonoyan to the USA may smooth the situation. Zhamanak paper writes that Prosperous Armenia party leader Gagik Tsarukyan will be deprived of his influence on the sports and youth affairs sector. ​The sources note that soon the congress of Justice party will take place during which Balasanyan will be nominated as a candidate.